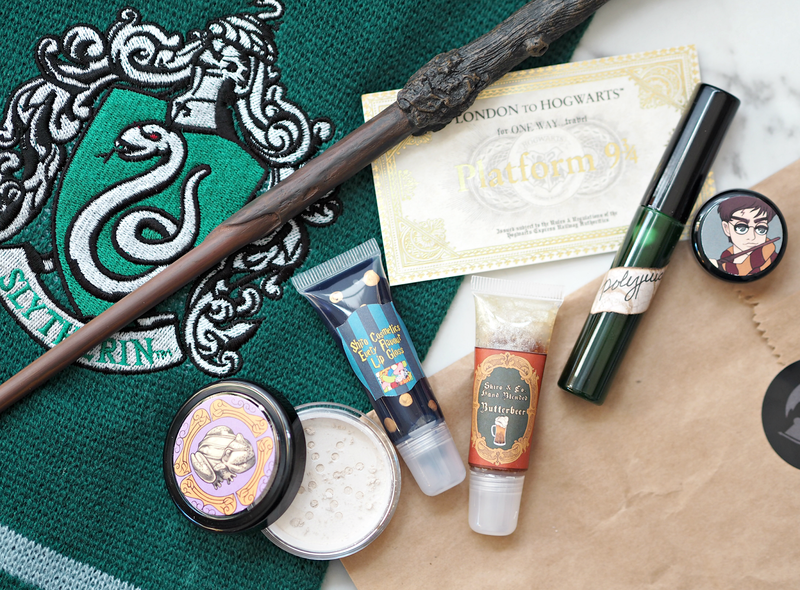 With only a few days to go until the launch of the next Wizarding World instalment from J.K Rowling, us Harry Potter addicts are on high alert. We’re re-watching the movies, re-reading the books, polishing our wands and getting ready for the next phenomenon to erupt with even more anticipation than that very first HP movie. Fantastic Beasts has been a long time coming (I’ve had my seats booked for months!) but in the meantime I’m getting my beauty regime ship-shape and adding a sprinkling of magic wherever I can – and these absolute stupendous treats from Shiro Cosmetics definitely hit the spot. Thanks to a cheeky little heads-up from British Beauty Blogger (who’s great at finding quirky beauty gems,) I made an order within minutes of discovering them and couldn’t have been more excited when they finally arrived. 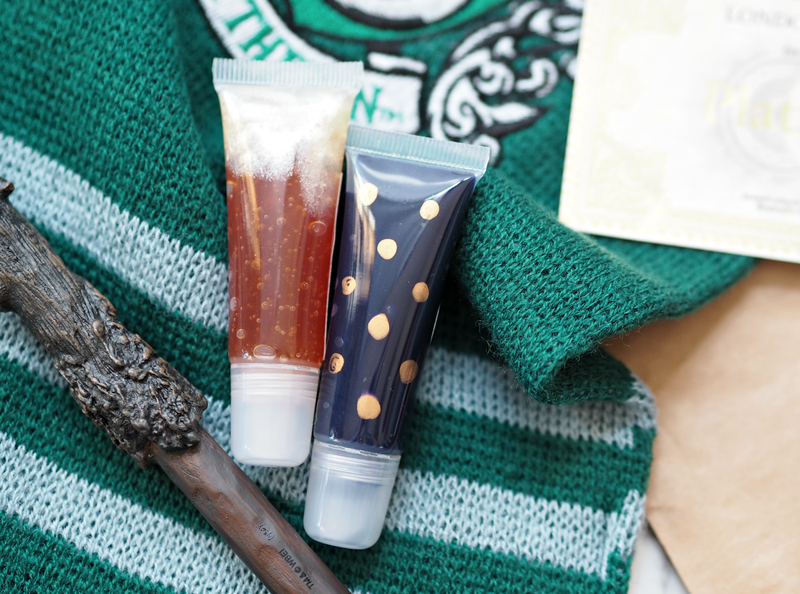 A small-time brand with a lot of creativity and a huge amount of passion for everything magical, Shiro Cosmetics have created a portfolio of Harry Potter inspired beauty treats that include the most exciting thing I’ve ever discovered: Butterbeer Lipgloss. That’s right, pucker that pout and get ready to be amazed at the pure joy a gloss can provide instantly upon application, because this is a smile in a tube. 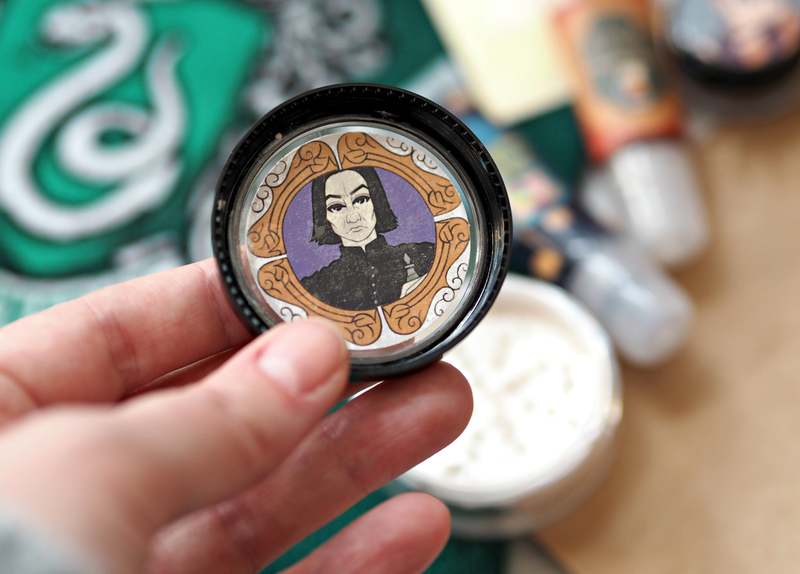 Rather brilliantly the gloss has been split into two sections, so through the transparent tube you can see the ‘beer’ and the ‘cream’ on top; add an authentic looking label and a scent that transports me back to the streets of the Wizarding World in Florida, and the result is something really rather special. But that’s not all – because by Dumbledore there’s more! Shiro have also created ‘Every Flavour Lip Gloss’ which channels a box of Bertie Bott’s Every Flavour Beans and gives you a different flavour in every tube. (Mine was a rather sweet candyfloss inspired number, but who knows what you’ll get – they just promise it won’t be earwax!) 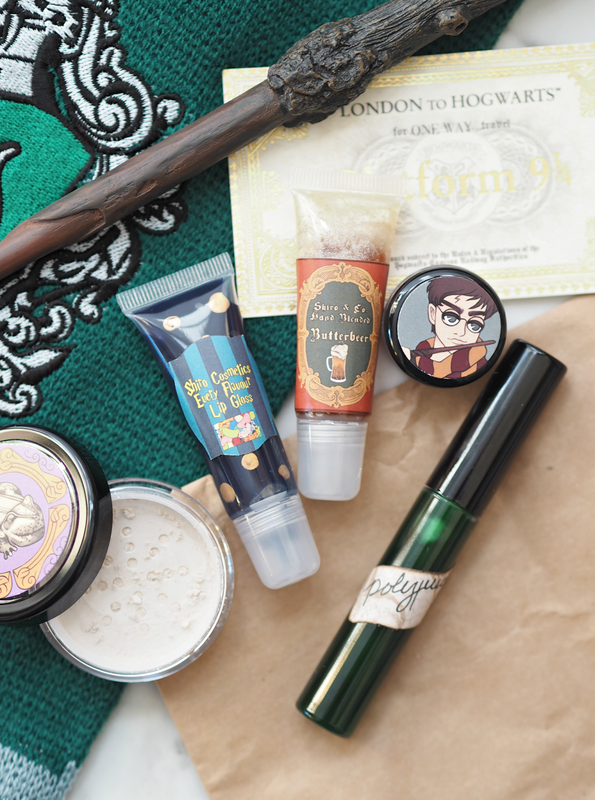 Although the blue gloss looks quite scary, like a spell cast during Defence Against The Dark Arts it’s actually really quite useable once you get the hang of it; it leaves just a tint of berries on the lips, with added flecks of gold when you get down to the ‘beans’, which is perfect for this time of year. However, if you want something a little more spooky, then why not apply your potion making skills and try a touch of Polyjuice potion? This slightly menthol scented gloss is transparent upon application but still adds a little transformative power to your look! 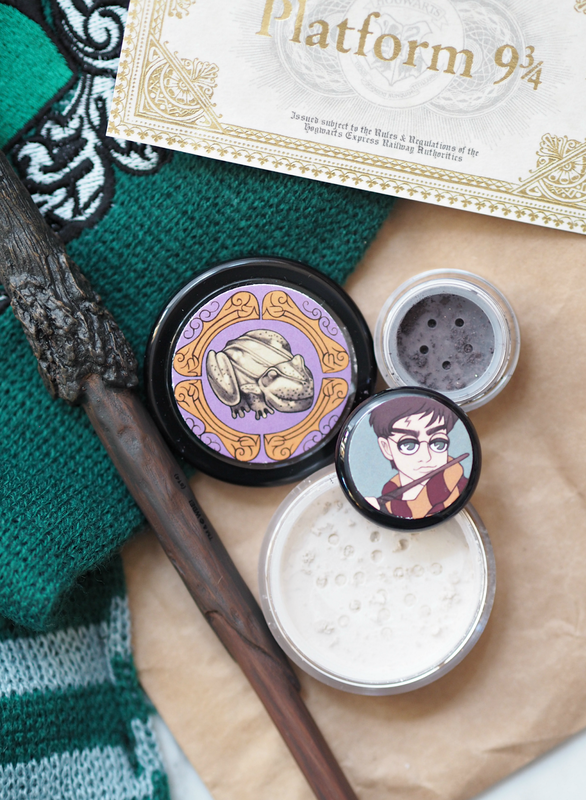 Further included in the Harry Potter collection is a selection of eyeshadows, bronzers and highlighters, including this cute pot of ‘The Boy Who Lived’ eyeshadow (in a slightly sparkling wearable black) and ‘White Chocolate Frog’ highlighter powder that’s utterly stunning when buffed into cheekbones. Hidden under the lid is even a different character every time, just like the edible versions! 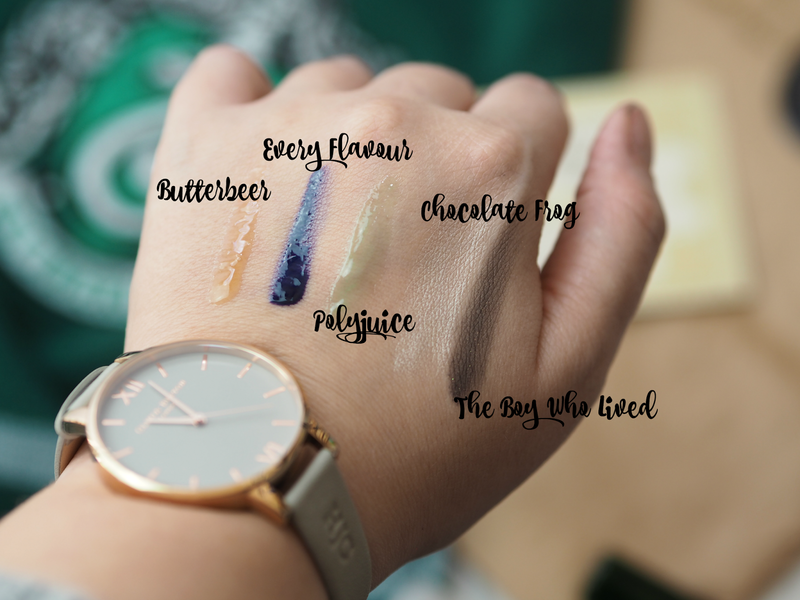 I adore everything about this collection – from the handwritten labels and pure creativity, to the attention to detail and truly authentic scents, Shiro have captured the magic of the Wizarding World and made me one happy beauty enthusiast. The quality of the products is fab too, offering blendable and pigmented powders alongside non-gloopy and non-sticky glosses that I’ll take a huge amount of pleasure applying for months to come. Shiro Cosmetics is available here. Prices are as follows: Eyeshadows $6.50; Lipgloss $9-10.00; Highlighter & Bronzer $9.00. Flat shipping rate to the UK is $12.50 – my order took about three weeks to arrive. Previous Post You Really Wanna Know Why You Shouldn’t Sleep In Your Makeup & Why It’s A Habit You Should Break? Oh my, they've got it spot on with this! And not aimed at 7 year olds either! Hi Millie. Yes, it is gimmicky – that's the whole point. If you just want a lipgloss or highlighter why would you pay over the odds and wait 3 weeks for it to arrive? It's for HP fans who want a bit of magic, but also, as I said in the copy above – the quality is actually good too.